Welcome to Mattanawcook Junior High School! Thank you for visiting our webpage and for your interest in MJHS! I encourage you to explore our site to learn more about our school, and the people and programs that make MJHS such an outstanding place to learn, work and create a better tomorrow. 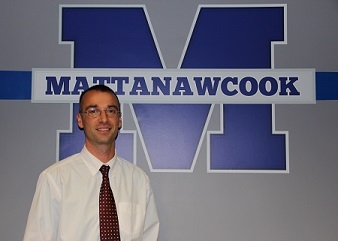 Mattanawcook Junior High has a long and rich tradition of striving for academic excellence. Our amazing school that serves learners in grades 4-8 is found in the heart of Lincoln, Maine located on the shores of beautiful Mattanawcook Lake. Our school is well equipped for 21st Century learning with every learner having their own laptop computer. Consistent with the mission and vision of RSU No. 67, our staff is committed to continuous improvement for the benefit of our learners and will work together to ensure that all students are challenged so they are provided the opportunity to reach their full potential. While at MJHS, students will have access to core academic subjects as well as Music, Band, Chorus, Foreign Language, Art, Health and Physical Education. In addition to our outstanding core curriculum, we take great pride in our extensive extracurricular and co-curricular programs. Students may select from over 20 different clubs and after school activities. Athletically, we offer 18 different team sports. If you are interested in learning more about our school, considering moving to the area, or have questions about your child’s program of study, please call me at 794-8935 or e-mail me at ccowing@rsu67.org. Thanks for your support, and we look forward to a great and exciting year!